Modern, very filigree dining table with rectangular laminate table top. 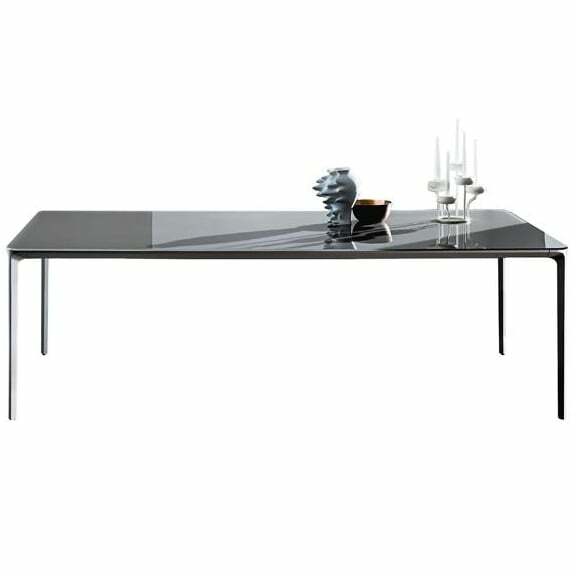 Slim Laminate is a rectangular dining table with die-cast aluminium legs, aluminium structure profile and a HPL laminate table top in various finishes. 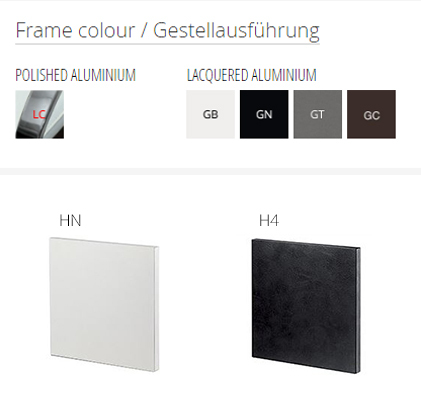 The table is available in a large variety of sizes as well as in other colour combinations. Sovet was founded at the end of the 80’s, the period in which glass became a very important protagonist in the furniture market. The modern glass-processing technique enables joining the maximum artistic expression with innovative and functional projects, combining tradition, advanced technologies and contemporary design. Today, Sovet has a production area of 9000 square metres and its products are sold in over 50 countries throughout the world. Do you have a question about "Slim laminate"? How can we contact you?